Onlinepharmacytabs24.com is not online anymore. It domain address got seized around the year 2016 by the security agencies. According to the information on the seized website, this drugstore was captured since it was trafficking counterfeit medications. Recently, I have been finding a large number of online pharmacies which have been captured for this same reason. However, after some research, I determined that the expensive drugs prices in the US are being protected by closing the cheap competing pharmacies. 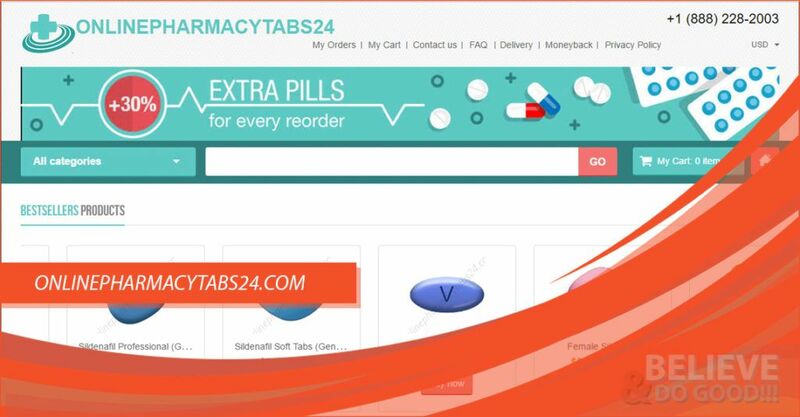 Online Pharmacy Tabs 24 is one of the pharmacies. Onlinepharmacytabs24.com looked a little bit odd since it was one of the few online pharmacies I have found without an about page. The pharmacy appeared to have had its location in Europe. However, the meds the pharmacy supplied were being sourced from other countries which included India, Singapore, and Switzerland. The medications available on Onlinepharmacytabs24.com included Asthma meds, diabetes drugs, depression drugs, herpes pills, Malaria pills, pain medications, blood pressure drugs, stop smoking, erectile dysfunction meds and others. Onlinepharmacytabs24.com was cheap. I checked the price at which the store was selling its erectile dysfunction meds which appeared to have been the most popular. A pill of generic Viagra cost buyers $0.63. A pill of generic Cialis was being sold at a price of $0.69 while generic Levitra was worth $1.44. There was no information on the drugstore site which could help determine whether the pharmacy was carrying FDA approved medications or not. However, I could not find controlled substances on the drugstore. Ordering medications from the store required the buyer to purchase meds worth at least $30.00. The pharmacy was only accepting payments via VISA and Mastercard. These methods were great because when the pharmacy failed to deliver the ordered medications, buyers could use their credit card providers to dispute the charges made to their cards. The pharmacy also had a phone number that buyers could have used to contact the customer support department. The number was +1 888 228 2003. Onlinepharmacytabs24.com did not have a return policy. Once the order had been dispatched, the buyer could not send it back for a refund. However, buyers were being offered refunds if their orders did not reach them. 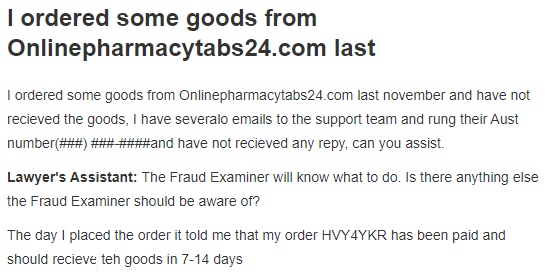 The above reviewer says that he had ordered some goods at Onlinepharmacytabs24.com. He had not received the goods. He had sent several emails to the customer support team and he had not received a reply. He had tried calling the pharmacy but his phone calls appeared to have failed to go through. When he ordered his medications, he had been informed that his order would get delivered in a period of about 7 to 14 days. He had been informed that his order had been paid for successfully. The above review tells you that Onlinepharmacytabs24.com was not a trustworthy pharmacy. They let their customers order goods they knew they were never going to deliver. They then ignored the customer calls. This is the anatomy of a fake online pharmacy focusing on making money while ignoring the needs of customers ordering their meds from the store to save their money. Online Pharmacy Tabs did not survive long enough on the web to see 2018. The drugstore appears to have disappeared back in 2016. Therefore, finding its testimonials written in 2018 was impossible. I had to search its domain address on scam adviser. The drugstore had exactly 0% trust rating. By ordering meds from Online Pharmacy Tabs 24, a buyer would have been placing himself/herself at a 100% risk of having his information compromised. The pharmacy did not want people to know where it was located. Scam adviser failed to determine whether the pharmacy was located in Germany or in Russia. The drugstore did not have any coupon codes. However, buyers were given a chance to save money depending on the amount of money they were spending on the pharmacy. Orders worth more than $200 were getting 35% off, a 15% discount was offered to buyers who purchased medication worth more than $70, a 20% discount was available for all orders worth more than $100. First-time buyers were allowed to save 10% while a 5% discount was available for all orders. The pharmacy was offering 30% extra pills with every order. 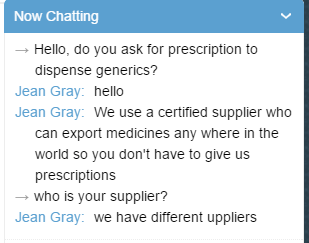 Onlinepharmacytabs24.com appears to have been an untrustworthy pharmacy operating from within Europe. The drugstore had fair prices and accepted safe for a customers methods of payments. However, some customers who had sourced their meds at Onlinepharmacytabs24.com are not happy with the results. Their meds never got delivered. Just like most of the seized cheap generic stores, Online Pharmacy tabs 24 has been closed.